Stockton Town travel to table topping Consett on Saturday looking to go level on points with the Northern League’s early pace setters. Michael Dunwell’s Anchors are in their best form of the season having won each of their last three outings. The upturn in consistency has been born from the manager’s ability to select from a more settled group with the early season enduring a period where players were in and out of availability. The Anchors have found their shooting boots in recent weeks and have now scored 21 goals in their last five games. An encouraging sign for Stockton fans is that goals are being scored from all over the park and in a range of different ways. Midfielder Nathan Mulligan’s four goals in last weekend’s 8-0 rout of Penrith has seen him steal an unlikely march on Mikey Roberts and usurp the forward atop the Anchors goalscoring charts with eight for the season. Fixtures between these two sides have been brimming with goals and entertainment over the last season and a bit with four fixtures producing 26 goals and three seven-goal thrillers. With both teams in top form heading into the game, it looks like being another belter at Belle Vue. Consett are one of the division’s most consistent performers over recent seasons. They compounded four consecutive top ten finishes with a Durham Challenge Cup win last season and they have begun this year’s campaign in a similarly impressive manner. Consett look to have translated that form into their current season and currently top the division by three points with eight wins and just one defeat to their name in their nine league outings. Michael Sweet’s consistency is complimented by the dogged, tireless work rate of former Sunderland, Darlington and Spennymoor favourite David Dowson. They boast goals across the park with midfielder Danny Craggs having found the net regularly from midfield this term. An early exit came in the FA Cup came at the hands of Bridlington Town but Consett have been rock solid in their league form. The Anchors need little warning of the goal threat Consett pose and the signs are pointing to another high scoring affair on Saturday. Fans of non-league football across Teesside will need little introduction to Michael Sweet. A former Northern League Young Player of the Year, Sweet enjoyed a highly prolific spell at Billingham Synthonia. During his time at Central Avenue, Sweet enjoyed a successful first season where he notched 32 goals. He continued this into his second season where he found the net 34 times but was unable to prevent relegation for Synners. 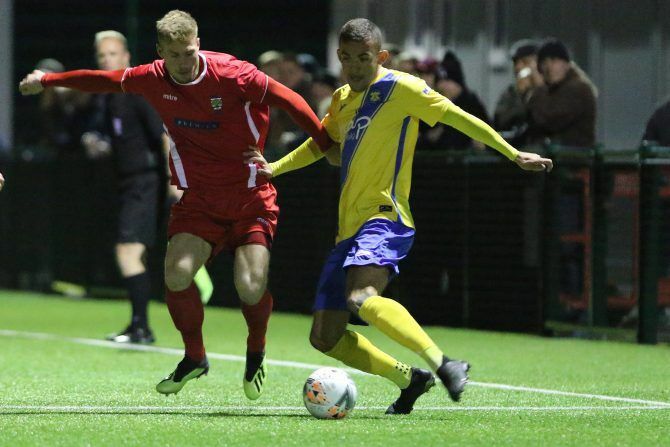 Sweet has made a successful move to Consett and continues to provide a consistent goal threat. 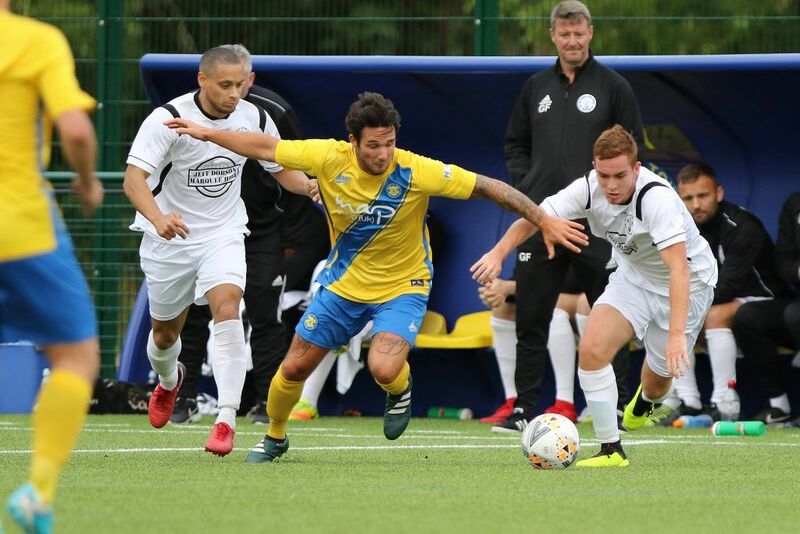 The seven goals from midfield from Danny Craggs have been a bonus but Sweet already has four this term and, ultimately, it is likely to be his goals that will determine what level of success his side enjoy this season. We are just a few short weeks removed from the first clash of the two sides this season and inevitably it was a seven goal thriller. Goals from Fred Woodhouse, Adam Nicholson and Nathan Mulligan were unable to rescue anything from a topsy-turvy mid-week encounter as Consett maintained their 100% start to the season at the time. Stockton enjoyed a winning record over Consett last season. The visitors came away with all three points as they edged a seven goal thriller at the Coverall Stadium. Goals from Calvin Smith, Danny Craggs and Dan Hawkins had given Consett a 3-0 half time lead. A spirited fightback from Stockton saw Jamie Owens grab a brace and Chris Stockton find the net but a fourth Consett goal through Sweet sealed the points. The Anchors did not have to wait long for revenge as Consett provided an early victim on the road to Wembley in the FA Vase. It was a second seven goal offering in just a few short weeks at the Coverall Stadium. A Chris Stockton hat trick and a goal from Joe Carter this time saw Stockton edge it by the odd goal in seven. Stockton was again on target as The Anchors edged the rubber match away from home. Goals from Kev Hayes and Sonni Coleman helped their side to a 3-2 victory and brought all three point back to Teesside.